It’s easy to forget how far you have come, things you have achieved and lessons you have learned until you allocate some time and look back at where it all began. To some extent I was feeling a bit lazy to write this post, since the content of this article may not be a great value for my readers. But I felt it’s important to allocate some time to reiterate (look back) at some of the important milestones we have achieved in 2015. I have consistently done this for the past 4 years (2014, 2013, 2012, and 2011) since starting BizTalk360. Generally, travel will be one of the important things for me to look back, having offices in UK and India automatically adds a certain level of travelling. I’ve travelled 3 times this year to India (Feb, May and Aug), spending roughly about 6 weeks in our India office. Other major long haul travel this year was a trip to Orlando in Florida for Microsoft World Wide Partner conference + some family vacation, a trip to Boston in September for Business of Software conference, and a trip to Calgary and Seattle for Azure Hybrid Integration day and MVP Global summit. There were few European trips, most of them for a day or two. In 2015 I travelled less compared to 2014, looking at the travel diary looks like I’ve spent about 12 weeks (3 months) outside the UK in 2015. One of the biggest milestones and cherishable moments for us in 2015 was the expansion of our India office first and then our UK office. I have to admit, one of the main focus for me personally for 2015 was to expand and set the base infrastructure for our rapidly growing UK and India teams. Both offices required substantial capital investment and long-term contractual commitment. We have signed minimum 5 years agreement for the both the offices. India office is now expanded to about 5000 sq.ft. and UK office to 2000 sq.ft. The team size has also grown significantly this year, we added 14 new people to our India office and 4 new people to our UK office, bringing the total strength to 35 people. The attrition rate was very low, there was only 1 person who left the organisation this year due to personal circumstance. The most important metric for us is the product releases and number of new customers we added in a year. In 2015, we release 2 major versions of BizTalk360 (version 7.9 and 7.10). As the product gets matured, you start to streamline things and restrict the releases to a handful of quality ones. In 2015, the majority of development time was spent on building version 8.0 which is something we are very excited about and due to be released on Jan 2016. One of the other important milestone this year was the release of our second product BizTalk NoS Ultimate, a productivity tool for BizTalk developers. In 2015, we added about 125 new customers crossing the total count above 400. This year we achieved our golden number of 360th customer. We are very proud as a team to achieve this milestone, it just shows the trust people have on us. Some of the world’s top brands like Microsoft, Mercedes, American Red Cross became our customer this year. We at BizTalk360 is always a community driven company. One of the highlights of 2015 is the perfect execution of BizTalk Summit 2015, London event (day1, day2). It’s considered as one of the top events for people in Microsoft Integration space, 2 days event at ExCel London bringing together around 350 people from across the world. 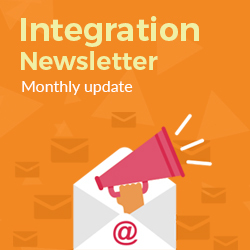 Integration Monday, this is another key milestone for 2015, we consistently delivered an hour long webinar pretty much every Monday for the entire year, thanks to our friend Michael Stephenson and our own event team in making this possible. In October 2015, we organised for Azure Hybrid Integration day at Calgary, Canada with the help of local MVP Kent Weare and Microsoft Canada. One of the first such event to happen at Calgary. BizTalk Productivity Suite: Based on the survey we did with around 200 people we understood the top 5 challenges faced by the BizTalk customers and we tried to address them by releasing a free productivity suite. Summary of the survey can be found here. One of the personal achievement for me this year was speaking to some 800 young students and inspiring them with lessons I’ve learned in the past 15 years, the slide deck 5 things young people should focus on will give you an overview. Getting renewed as Microsoft Integration MVP for the 8th year in a row. Words cannot express how important this is to me and to BizTalk360. Very proud to double up our donation to GOSH from $5,000 in 2014 to $10,000 this year. Running a company brings with it a lot of stress, ups & downs and at the same time lot of learning’s. It requires a lot of discipline to balance all your activities, every hour of my day is pretty much calculated. Personally, I’m pretty happy with how we wrapped up 2015 in terms of building the team, offices, product and customer base. There are a lot of people who heavily influenced both my personal as well as company growth in 2015 that includes family, friends, employees and customers. It will be hard to name people individually. Most of us take a lot of things for granted and fail to appreciate simple things in life that give immense pleasure and joy. As 2015 closes and 2016 begins, let’s take a moment to thank everything we have. Take good care of our customers and employees. Empower the team, mentor and direct them to achieve more.